Our Empathy Training Workshops begin a journey into empathy, in an engaging, interactive workshop environment, with skills to apply cognitive perspective taking in everyday life, study and work. Theory + Applied = an Empathy Adventure! Empathy is a natural trait for 98% of the human population. Most of us innately 'get' the concept of empathy, yet then, why is it sorely lacking in society, in organisations and social policy? To develop empathy skills takes more than a lecture, it takes more than reading an article or watching a video. It requires a lifetime of awareness, action, reflection and changed action. We start this process with Empathy Training Workshops built on leading theory of empathy, crucially combined with practical applied methods. The program culminates with participants sharing their 'empathy adventure'. The participant experience is uniquely accessible thanks to an innovative, creative approach which maintains a hands-on applied flipped pedagogy. The learning journey covers topic and introduces methods looking at; Self, perception of others, affective empathy, theory of mind, cognitive perspective taking, barriers to empathy and more. There is little point exploring empathy from one academic field's perspective. How we understand others is complex and requires an integrated approach across several fields of research. Through our workshops we touch on several, diverse academic fields, from neuroscience, anthropology, philosophy and many others. It takes special facilitators to draw this together into coherent, deep learning experiences. Empathy Experiences seek to form long-term partnerships with each-and-every workshop participant, to guide and support learning on empathy. 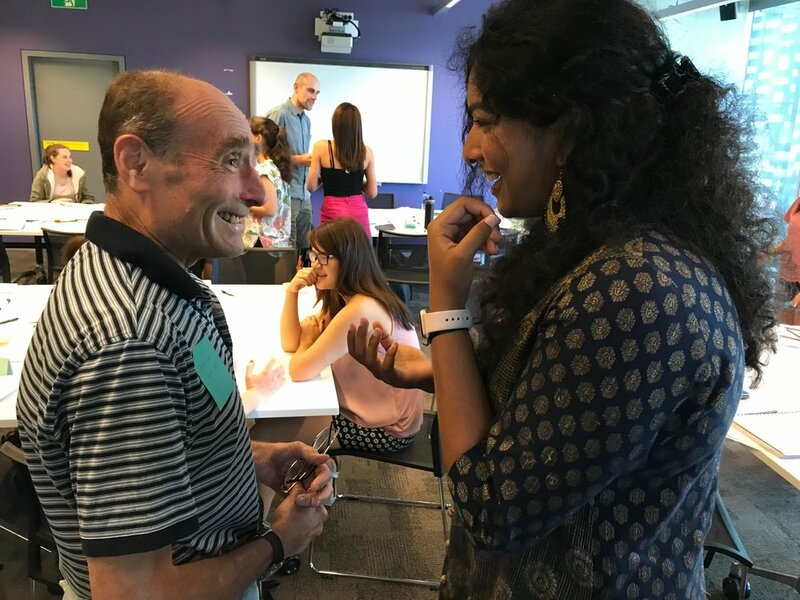 During workshop programs online platforms and in-person 'Empathy Cafe' sessions are created for participants to interact peer-to-peer and with our mentors. Too often empathy is confused with several other similar, but completely different phenomena such as altruism, compassion and others. We take empathy to simply mean "an ability to connect with, share and understand the emotions and perspectives of another person". All it takes to activate this is an open, accessible platform that can bring awareness, provide individualised training and to encourage on-going practice.